The third Saturday in September is National CleanUp Day in the United States. Littering can have a negative impact on the environment and people's well-being. .
National CleanUp Day was created by hiking enthusiasts Steve Jewett and Bill Willoughby in partnership with Clean Trails, a nonprofit that works to keep the outdoors clean. The unofficial holiday raises awareness about cleanliness and reducing litter. The outdoors can bring a lot of joy and peace to those who enjoy hiking, walking, and climbing. Littering and trash, however, can not only ruin the experience, but it can also negatively affect the flora and fauna. 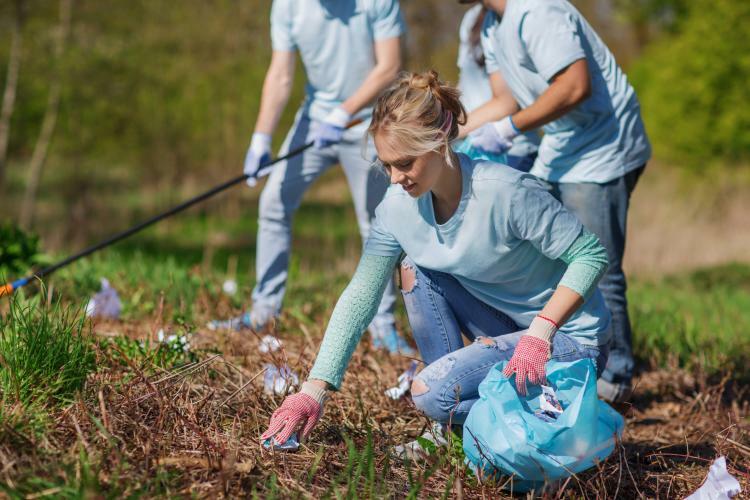 National CleanUp Day is an attempt to bring together those who love the outdoors and nature to help clean up trails, parks, beaches, and other natural communal spaces. The observance encourages people to make an effort to reduce littering and to recycle so that the nature around us remains clean and devoid of garbage. The core philosophy of the observance is that our quality of life can be widely impacted by the nature around us—garbage and litter filled natural spaces can negatively impact an individual's well-being as well as the environment. Get together with friends, family, and co-workers to organize a cleaning trip to the closest park, hiking trail, or beach. Raise awareness against littering and throwing garbage in communal spaces through social media and word of mouth. Join a local clean-up crew and help clean up your outdoors. …that almost 8 million tons of plastic end up in the oceans each year? Ahoy me hearties! Spend the day talking like a pirate. And don't forget your eye patch and your pirate hat! Celebrate the popular party beverage by making a huge bowlful and sharing it with family and friends. The made-up holiday honors and celebrates the miniature version of golf. Celebrate Bilbo and Frodo Baggins' birthday by reading the works of JRR Tolkien and his son, Christopher JR Tolkien.